Last June 24, 2017 at Libertine Bar and Resto, BGC - around 7:00 p.m bloggers and media partners are gather together to witness the unveiling of Ditto's famous Paella Valenciana and Negra. I arrived at the venue and saw already the interview is on going to Mr. Ditto by blogger and media partners. I'm rushing my phone to cover and take some photos, unfortunately when I looked to my phone I have 3% battery only. I've tried to take some photos but the result is poor. 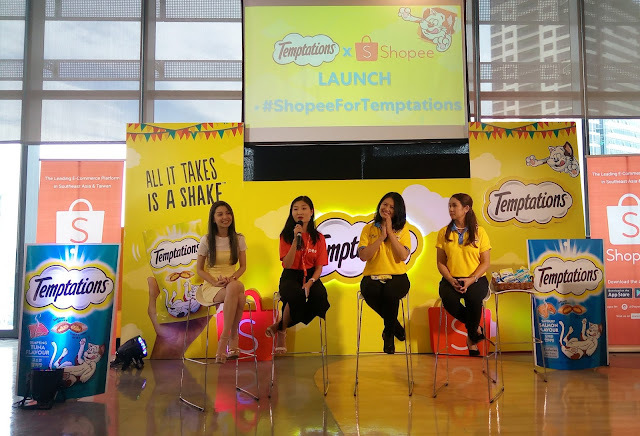 So I find ways how I can get some pictures and luckily Mr. Orlee Passion is generous to share his shots. 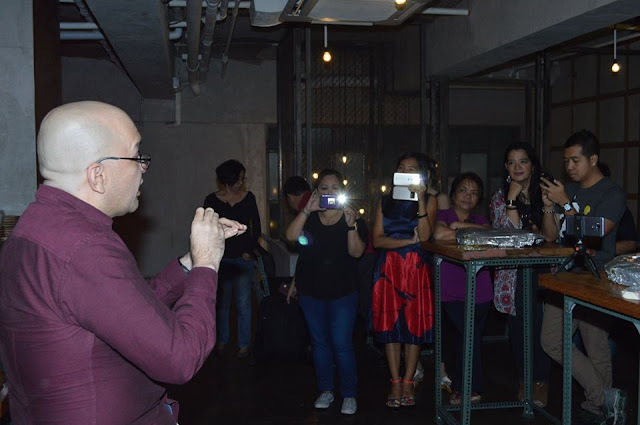 All Photos here are credit to him "Food Trip ni Chong"
Short History - according to Mr. Ditto his special Paella and its actual recipe was passed down to her mother, Carmen Guidote Lesaca from his maternal grandfather, the late Alfredo Guidote. He decided to learn his Lolo Freddy’s paella because he doesn’t like the commercial ones selling at Spanish restaurants in the metro. With the pandemonium of his close friends, he decided to have it available for sale to public. He personally buy the ingredients in the market early in the morning fresh and cook. Mr. Ditto is a jolly person when I saw him, you can see his passion and love on what he is doing the result is showcase to his masterpiece full of ingredients not rationed the topping like tiger prawns, squid, chorizo, chicken, eggs, and other vegetable. Truly a satisfying food for everyone. 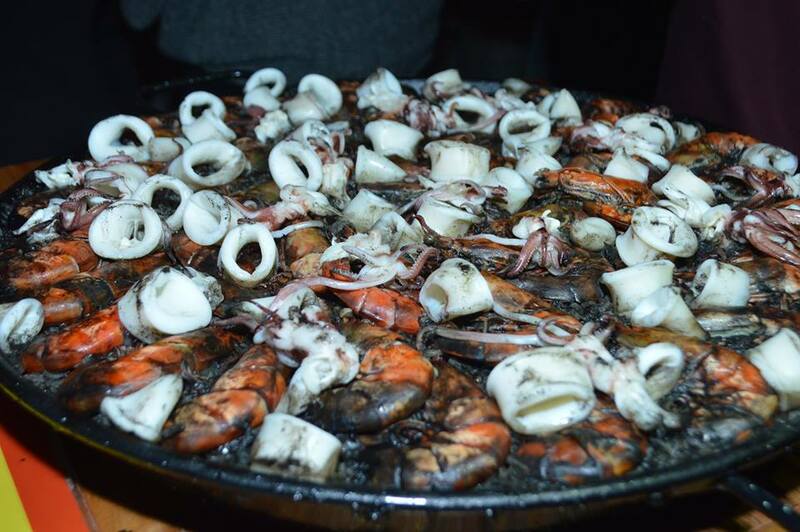 The moment we are waiting for has come, time for us to relish the paella valenciana and negra. I feel so excited to taste this paella because I can't remember the last time I ate this food. I'm drooling to eat and I'm hungry that moment. I was shocked when I saw it, it's big and full of ingredients on top. First, I took the Valenciana then the Negra. 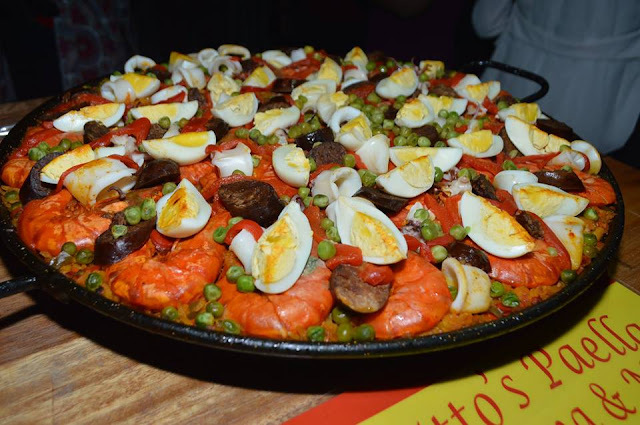 If you love chicken, prawns, egg, squid, chorizo, peas, and a taste of tomatoes this is the best for you. Paella Negra is not really enticing in our eyes because of it's black color mix on the whole paella but, surprisingly It's the best for me, I don't know what the other say about it but I saw some comments they love also the taste of negra compared to valenciana. The ingredients of Paella Negra is likely similar to valenciana with tiger prawns and squid but no chicken, peas, chorizo and egg. Maybe, the secret lies on the squid ink. I really like seafoods, that's why I enjoy the most eating paella negra. 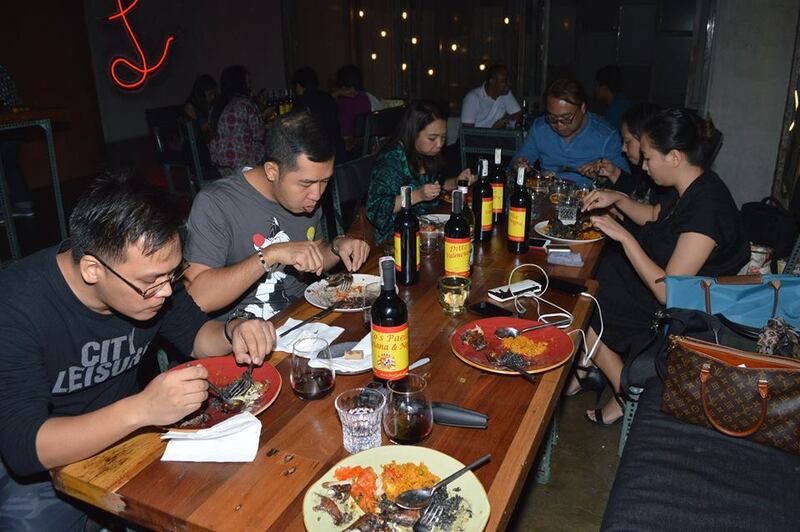 Thank you Mr. Ditto for inviting us and giving this chance to taste your specialty and for your personal wine. I wish all the best for your masterpiece and more sales to come! You have to taste this Paella and I'm sure your family and friends will enjoy it too. Best for any occasions and gatherings.